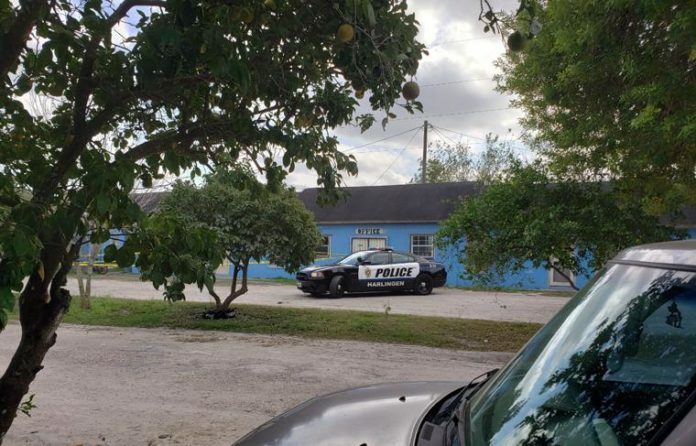 HARLINGEN — Police are investigating the death of a Harlingen man found Tuesday morning inside an apartment. “It’s a death investigation at this time. There are suspicious circumstances we need to investigate a little further,” police Sgt. Larry Moore said. A squad car protected the death investigation scene most of the afternoon. According to police, the cause of death has not been determined and requires more detailed investigation to determine if it was a natural death or whether other factors may be involved. The body was found at 9:24 a.m. at the Wilson Apartments on the 1500 block of North Commerce. The identity of the man is being withheld until his next of kin have been notified. Police said they will most likely release the name of the Harlingen man today or tomorrow. The squad car sat next to yellow investigation tape wrapped around the main office of the apartment complex where the body was found. The sounds of dogs barking could be heard as the police unit’s lights blinked red, white and blue while it secured the area. The small apartment community on the north side of town looks abandoned, but houses tenants in more than 10 small separate apartment units. Police did not call the incident a homicide and would not elaborate on the circumstances police are investigating. No further information was available because it is an ongoing investigation.